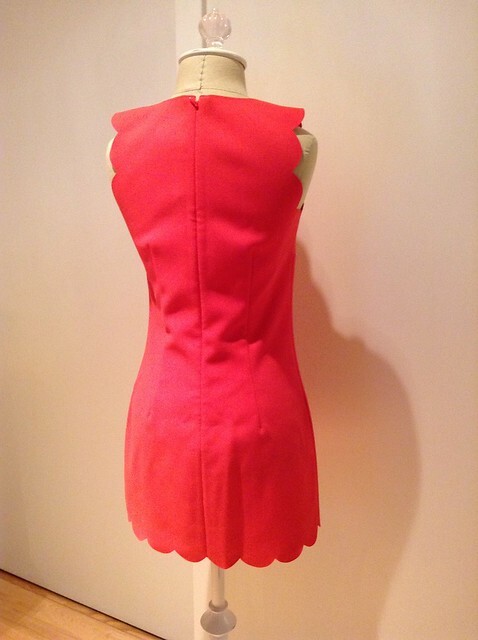 Update 2/21/15: Please refer to the bottom of this post for a quick review of the J.Crew Factory version of the scalloped trim dress. 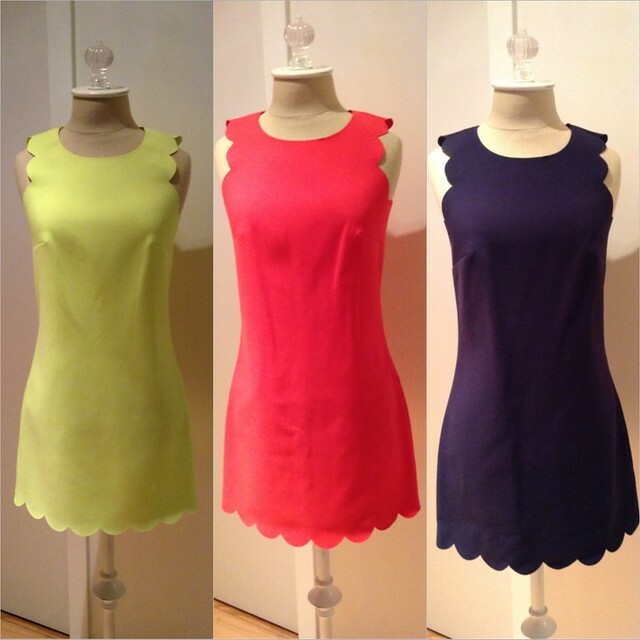 As stated in my previous post, I ordered the scalloped dress to try on in all three colors because J.Crew does not carry petite sizes in store. Shortly thereafter they ran a 30% off promotion for card members and I received a price adjustment for the difference. The dress is currently sold out online but you might find the website re-stocked with returns because I know of a few people that will be returning this dress due to poor fit. 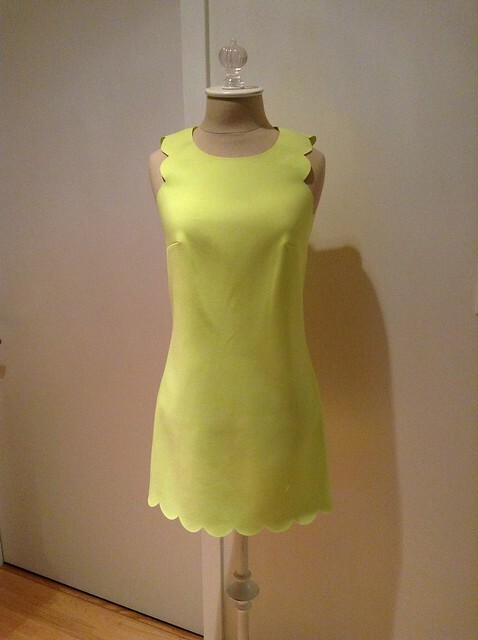 In fact, I plan on returning all three dresses when I get a chance to go to my local store this weekend. I tried on the regular size when I first spotted it in stores in the beginning of March (thanks to Annie’s post for planting the seed of want). Unfortunately, the regular 00 fit like a sack on me. 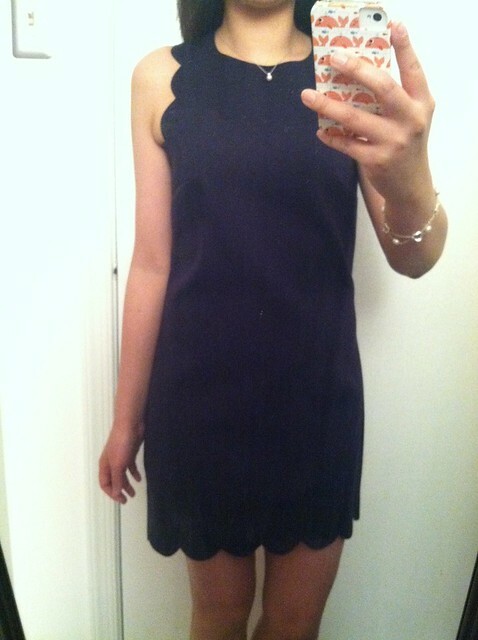 I took rough measurements in the fitting room and the regular 00 measured approximately 16″ in the chest and 33″ long. 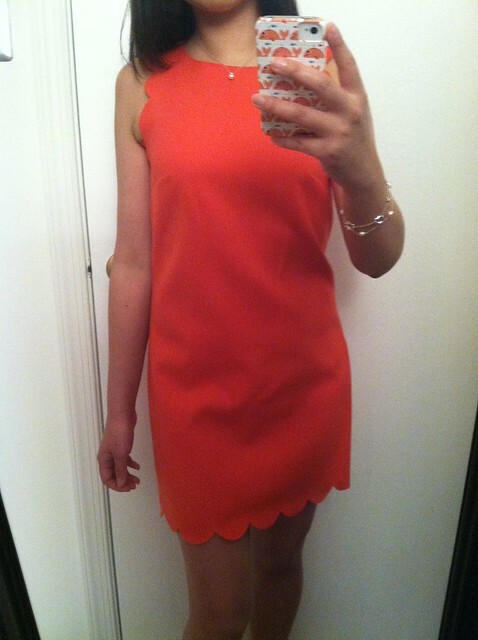 I was excited the moment I learned that the dress was available in petites. I equivocated between ordering 0 versus 00 petites but I’m glad I went with the smaller size. The shorter length and slightly smaller cut throughout makes the petite version a fit better than the regular 00 but it was still not keeper. 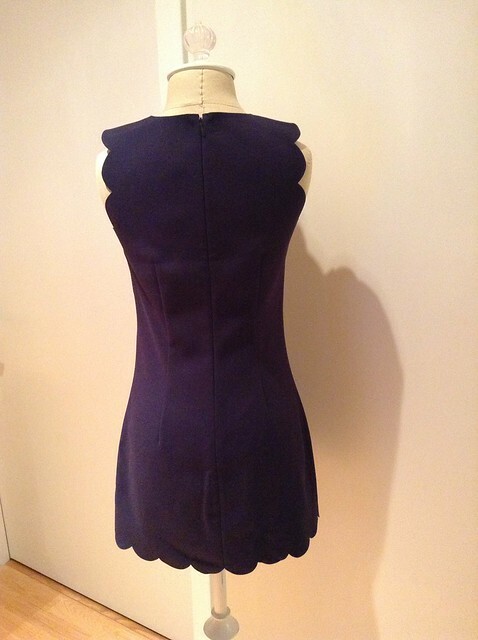 The chest darts are slightly too low and strange on me but it looked okay on my dress form (she is 33″ in the bust and I am 32″). I also found that the pale citrus ran a tiny bit smaller than the bright poppy and navy so it fit the best out of all three colors. I did not like the fact that the dress is unlined and after sitting on the dress for about a week my excitement wore off. 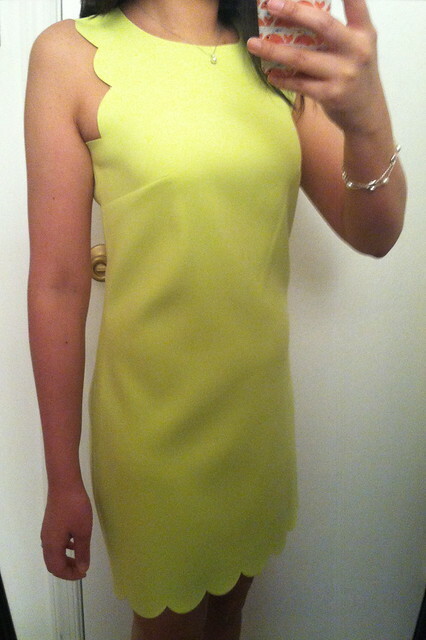 In full disclosure, I pulled a shopaholic move and sent and tried on the dresses while at my parents’ house last week. 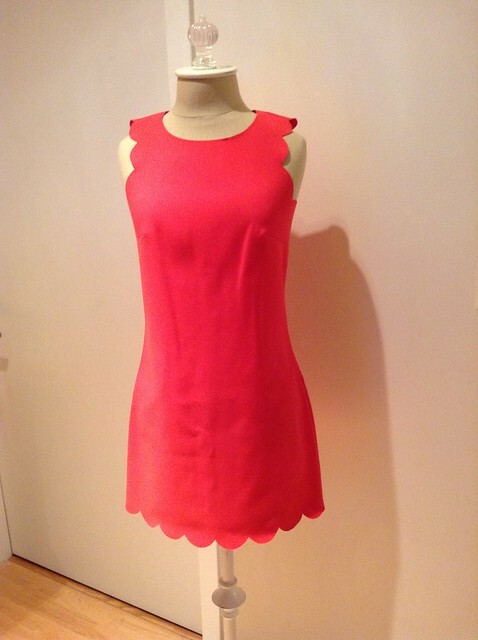 My other scalloped picks include this dress by Pim + Larkin and this dress by Rachel Roy. Pim + Larkin also offers a cute scalloped top, skirt and tweed blazer. 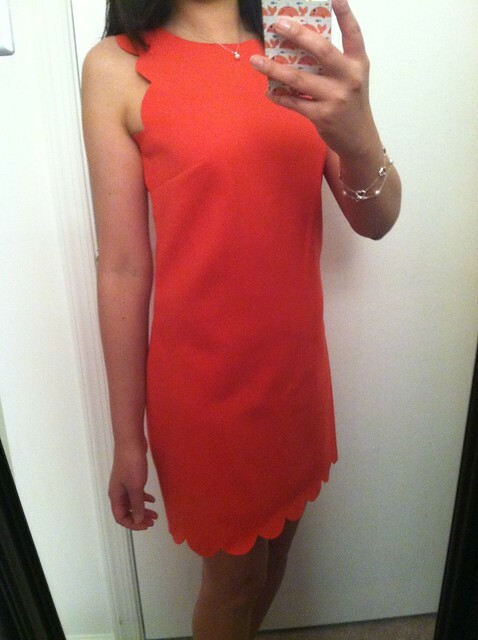 Did you order the J.Crew scalloped dress and was it a keeper? Thanks so much Annie! I'm only a little sad that they didn't work out for either of us but it's for the best and my wallet is definitely happy with me. Please let me know if you see anything similar. You should try it on for yourself before completely discounting it. hehe It looked great on @disqus_bb2Y31KamN:disqus (@dreedree on IG).I do remember and I'm sorry it didn't work out for you. I went back to try to re-order it when they were doing a promotion and it was all sold out. I haven't looked for it again. I hope you find something to fill the void. I hope to drag out my spring clothes from storage soon/this weekend. That's exciting. I can't wait to see how it fits you. I will cross my toes! i love the pale citrus one! Annie, have you returned these dresses? 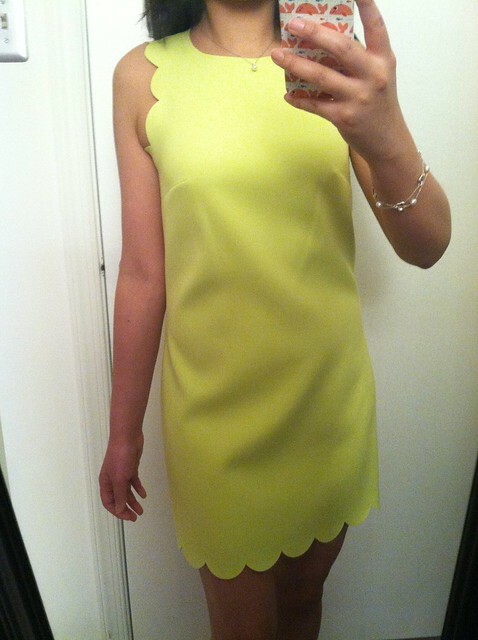 I am just checking on to this dress and I love it but can't find it anywhere! Can chance it's stillin your hands? I'll buy it from you!! 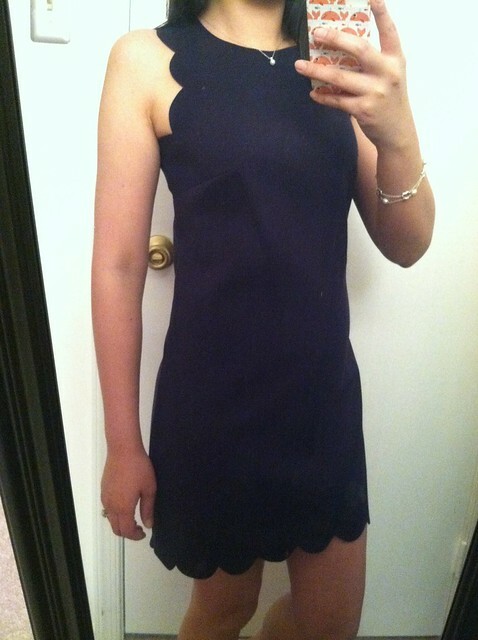 Anyone still have this dress? I would love to give it a try and purchase it from you! Completely sold out in jcrew!